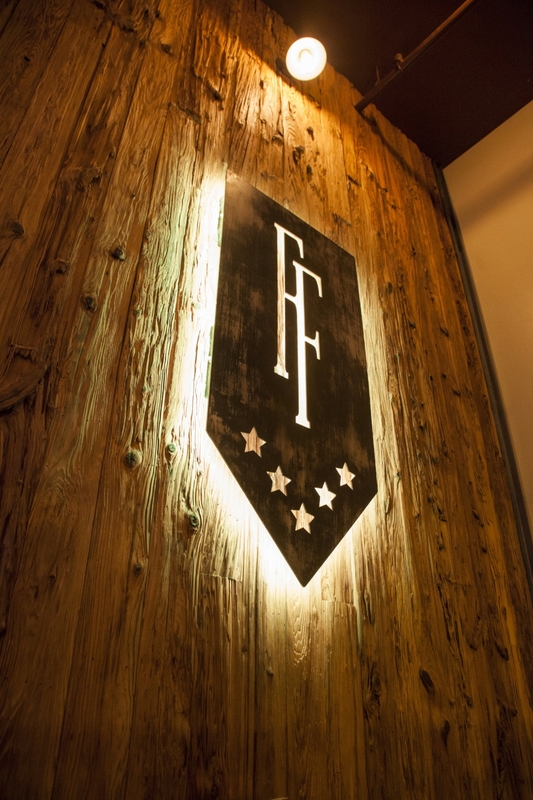 Founding Fathers is located in the South Street West District in Philadelphia, Pennsylvania. 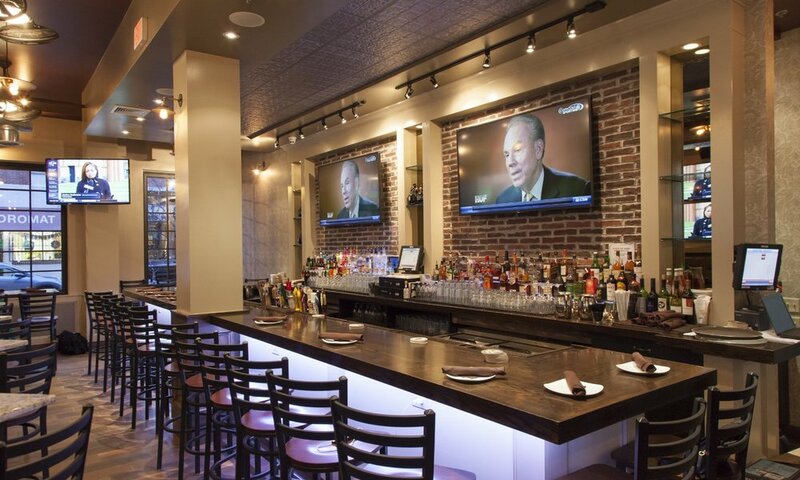 This restaurant/bar is an upscale Sports Bar & Grill concept, with a play on Philadelphia's historical American roots and long history of local sports legends. The design inspiration for this project was primarily based on the name established by the collective owners. Aligning with the obvious historical associations, the decor was designed to be traditional, similar to the style of old-world Philadelphia private clubs such as the Union League and the Vesper Club. 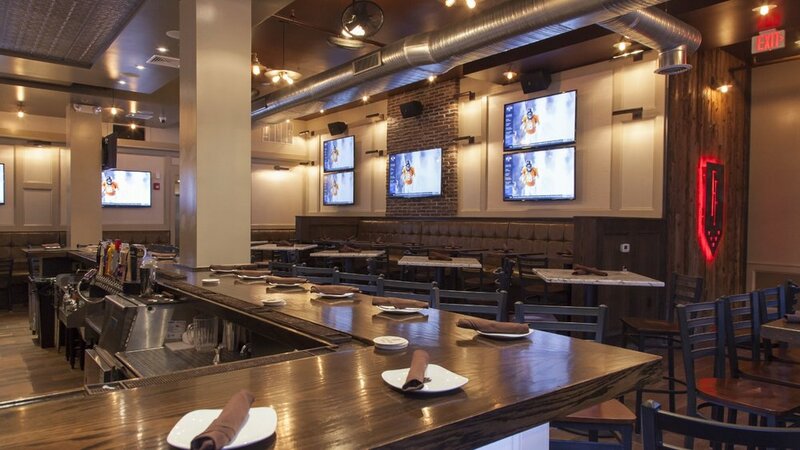 These traditional themes include wood paneled walls, tin ceilings, portrait style lighting, Victorian inspired wall coverings, and rich tufted leather banquette seating. Following suit in keeping with the historical theme, the walls are adorned with black & white portraits of both famous and obscure Philadelphia sports legends. 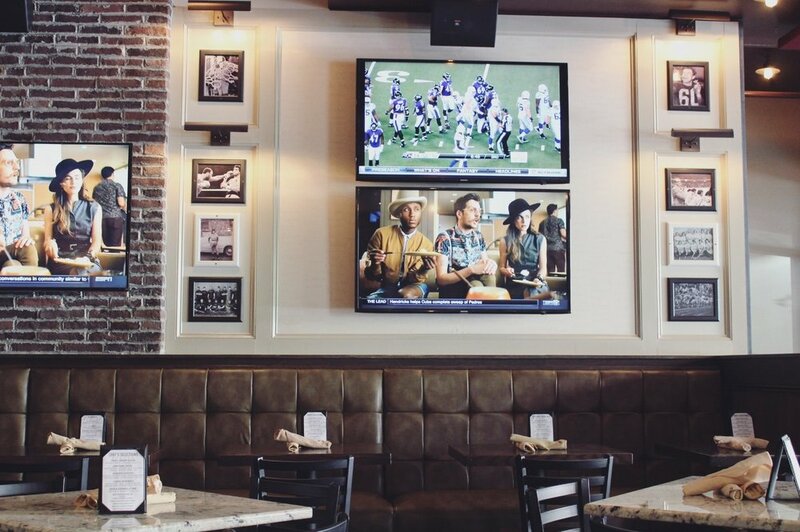 The portraits were designed as accent elements around the televisions throughout the space. Complimentary to the traditional components are subtle modern hints such as multicolored LED lighting, clean streamlined ceiling soffits, and exposed oval ductwork.